Best Blog Hosting Sites: Which Website Hosts Will You Choose? You are here: Home / Reviews & Comparisons / Best Blog Hosting Sites: Which Website Hosts Will You Choose? Would you believe that in 1995 there were only 23,500 live websites—each with 1,908 users? But last year, 1,630,322,579 websites were live! These stats make it pretty clear that the general public realized the value that blogs can have for smaller companies and anyone that has public information to share. It’s an eye-opener that demonstrates the increase in user-friendliness of building websites over the last 20 years. It’s true that almost everyone can get props for putting up a basic website. But why settle for basic and boring? The best blog hosting sites can take a basic blog from blah-blah to Aha! The best blog hosting companies are not all created equal. Whether you are just starting out or have thousands of followers, the best blog hosts will help you reach your intended audience. You don’t have to let the hundreds of blog hosting companies buffalo you into analysis paralysis. 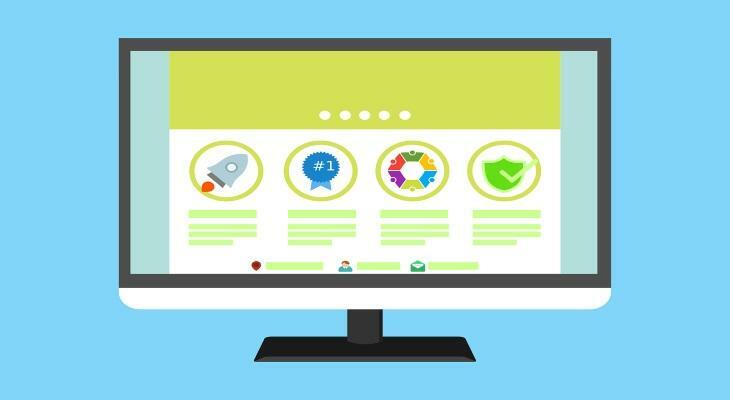 Here’s the skinny on the best web hosting services with a breakdown of the best and worst features. How To Find the Best Blog Hosting Sites? The first question that comes to mind look when looking through the best blog hosting sites is what is this going to cost? Cheap or free may not be the best way to go if you can’t get your website to perform the things that you want it, or need it, to do. You are better off to narrow down some of the best web hosting options for blogs and then compare by price. Speed-web users expect a site to load in 2 seconds or less. Any longer than that, you're likely to lose them. Online shoppers want to find their merchandise fast. 79% of buyers will not return to your site if it's too slow and 52% of shoppers said that fast loading pages keep them loyal to a site. Security – there are two big reasons to consider a secure website—server shutdown and virus prevention. You'll usually pay a bit more for them, but you don't want the server crashing during the holiday shopping season. You'll also want to avoid nasty viruses that steal your personal information and shut down your computer. Support-how quickly do you expect an answer to a technical problem? If you want the availability of a 24/7 tech or customer service representative, you'll want to look for a web host provider that will respond quickly. Filing a trouble ticket and waiting for an answer will cost you downtime, especially if your question isn't answered fully on the first try. Type of Server – there are four types of servers. Shared servers are cheaper, but they go down more because the server is shared with many other subscribers. VPS costs a bit more, and while it shares space on the server, your space is cut off from other subscribers, so if there's a problem, it wasn't caused by another subscriber. Dedicated space is expensive enough that it doesn't make sense for most people, but it's less likely to crash. The fourth type of server is a cloud system. It works much like the VPS system. It uses multiple servers in a network and is more secure than traditional VPS and shared servers. Now that you are aware that you can expect to pay a bit more for having more space on the server, user-friendly features, faster speed, and around-the-clock support, you can prioritize which of these factors you want to dedicate the bulk of your monthly costs towards. Set your standards and look for the best web host for your blog. With that in mind, let's take a look at our pick of the best blog platforms. There’s a lot to be said for WordPress – the largest blogging community on the web. The basic version, WordPress.com, is hosted on the WordPress server. It’s easy enough for a beginner to set up a blog and it’s free. It’s perfect if you don’t care about doing a lot of customization. WordPress.com offers upgrades for a fee. When you are ready for an upgrade, you'll need to switch to WordPress.org. WordPress.org is the big brother of WordPress.com. It's fairly easy to install, and you won't need to know coding to put up an eye-catching website, but you'll need to get your own host and domain. This platform is highly customizable, and it offers lots of free and paid options…see below for the best way to get started with WordPress. Hostpapa is one of the best web blog hosts that keeps costs low. They cater to every beginner blogger and it's easy to get started. Website builders can get a WordPress site immediately with a one-click installation. HostPapa has a high-quality server that is as fast as it is secure. If tech and coding aren't your forte, you'll love the 24/7 support. CHECK OUT OUR HOSTPAPA REVIEW HERE! Some of the earliest bloggers fell in love with the Blogger platform. Content is easy to post and publish. Blogger has a few nice little widgets, but you'll need to get familiar with some code to customize your site to bring it out of the elementary age. It's owned by Google, which means it's easy to integrate all of the Google apps. Tumblr is another site that is free and unusually easy to set up, even for a beginner. The features on Tumblr rival those of WordPress.com and Blogger. Tumblr is owned by Yahoo, so bloggers that love the Yahoo culture and community will favor it as a web host. Reblog is a feature that is unique to Tumblr. Reblog makes it easy to repost content from other sites. Squarespace is growing in popularity because bloggers don't have to sacrifice elegance for coding skills. It's one of the few sites that gives bloggers the ability to create an attractive, high-quality website without knowing an ounce of code. All of the news regarding Squarespace isn't fabulous. Theme and plugin support is fair, but not awesome. If you're not sure about it, take the free trial. Bloggers that are looking for a website that maximizes the potential for SEO will love Weebly, where the SEO capabilities are wired right into the site. Weebly has drag and drop features which make site building easy in some respects, but editing can be a little less user-friendly. The good news is that it's free to start and you can pay for upgrades as desired. If you are looking for a fun and attractive website, you’ll certainly find it at Wix. The drag and drop website builder practically builds itself into something that looks amazing. The main downside? They charge for everything, as pointed out in several Wix reviews. A great looking website could cost you plenty. The text editor, fonts, and templates are free, but a lot of the features that make a site great can put you in the poorhouse. Joomla is the old soul of blogging platforms. It isn’t great at being user-friendly, but if you have a little coding knowledge, you might just love it. Joomla offers over 6000 free extensions. Beginners beware—this web platform is not for you. The first month is free, but it can get expensive after that. Attach it to a money-making site to get your money’s worth from Joomla. This platform works best for Joomla developers and website managers. It’s no surprise that there is little room for customization with Medium because it's owned by Twitter. Consider Medium the tweet version of the blogging world. It’s short on looks, but long on experience for writers that want a streamlined platform where their words take center stage. When you want to give nothing but the facts, Medium is your platform. The adage of getting what you pay for doesn't necessarily hold true when choosing the best web hosting for blogs. Extra widgets and templates can add up costs without adding value to your blog…while paying a few extra dollars for a reliable, secure server with Hostpapa offers excellent value at just $2.95/month. Luckily, I've negotiated a SPECIAL 67% OFF DISCOUNT with HOSTPAPA EXCLUSIVE for you, my blog readers, so your hosting costs can be as low as $2.95 per month! Don't waste valuable time and money by using a web host that is too difficult for your skill level. The good news is that you're never locked into anything. If one platform isn’t working for you, learn something from your experience and seek a better blog on another platform. However, you can save the hassle of having to upgrade or switch hosts in the future by creating your blog with Hostpapa from the start today…you'll be happy you did! 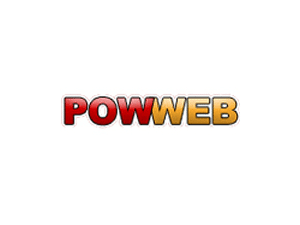 PowWeb Hosting Review (2019) – Plans, Rating, Pros & Cons! GoDaddy WebsiteBuider Review – Plans, Pricing & More!